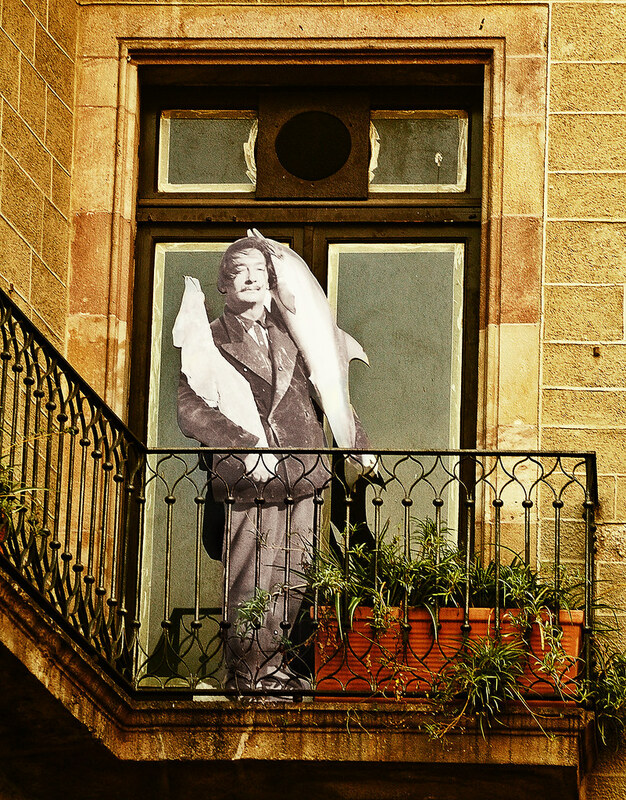 On the balcony of the Reial Circle Artistic de Barcelona there is this cardboard image of Salvador Dalí. This cultural institution is located at Carrer dels Arcs 5. Follow link above for a previous post. Ah, Dali. You either love his work or you hate. I find it intriguing and often wonder what was going on in his mind when he put it together! I rather like it. But I reckon it must have been hard to accept his art when he was alive. How unusual. But pleasing, nevertheless!